The latest issue of the Virginia Woolf Miscellany is now online. Issue 93, Fall/Winter 2018 has been posted to WordPress at this link. Guest-edited by Michael Lackey and Todd Avery, the issue focuses on the special topic of Virginia Woolf and Biofiction. In addition, the issue features a section dedicated to Jane Marcus Feminist University: The Document Record, the event honoring Jane Marcus that was organized by J. Ashley Foster, Cori L. Gabbard and Conor Tomás Reed and held at CUNY Graduate Center on Sept. 9, 2016. 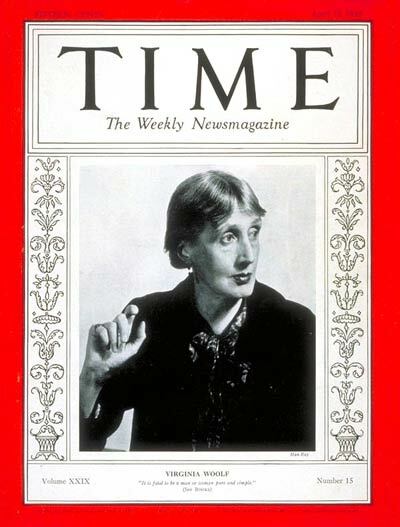 Also included in the issue are book reviews by Danielle Gilman, Steve Ferebee, Elisa Bolchi, Jeanette McVicker, and Stephen Barkway as well as the Call for Papers for the 29th Annual International Conference on Virginia Woolf, organized by Drew Shannon. 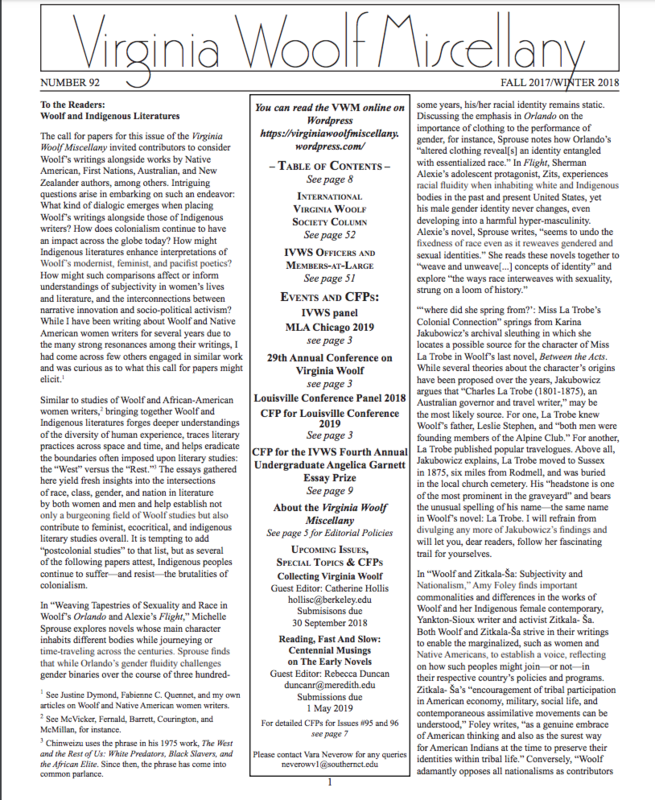 Other issues of the VWM can be found on the Virginia Woolf Mischellany website.